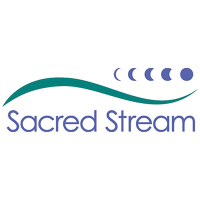 The Foundation of the Sacred Stream is a non-profit organization and school for consciousness studies dedicated to bringing the wisdom of ancient spiritual and healing traditions into the awareness of contemporary society. It was created on the basic principle that there is a common source of wisdom that underlies all authentic spiritual, cultural and artistic traditions that informs and enlivens them. And while each tradition may take a different form, like plants along a riverbank, each is sustained by the same source. Each workshop we create, each artist or guest teacher we host, and each resource we post on this website is offered to you with the intention of illuminating another way to deepen your own connection to this source, attain a broader perspective, and receive inspiration from it. 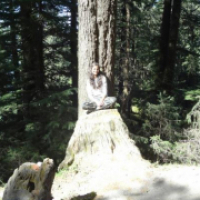 The Foundation of the Sacred Stream offers a core set of workshops in Depth Hypnosis, Applied Shamanism, Applied Buddhist Psychology, Integrated Energy Medicine and Empowered Living. It also hosts a concert series and guest lectures series. Past participants have included Dr. Robert Thurman, Geshe Thupten Jinpa, Tenzin Wangyal Rinpoche, and Grammy nominees Barbara Higbie, Liz Story, and Jane Siberry. Through these programs, the Foundation seeks to make these traditions more accessible to the community and empower individuals, like you, to experience themselves and the world in new ways. The Foundation of the Sacred Stream was founded in 2002 and is located in Berkeley, California.